Do you recommend Total Merchant Services? We provide state-of-the-art terminal to all of our merchants with a month-to-month agreement. With our meet or beat guarantee you are assured to have the best rates available. We offer terminals for all types of businesses new or existing including retail, mail order / telephone order, internet, wireless and mobile based processing. 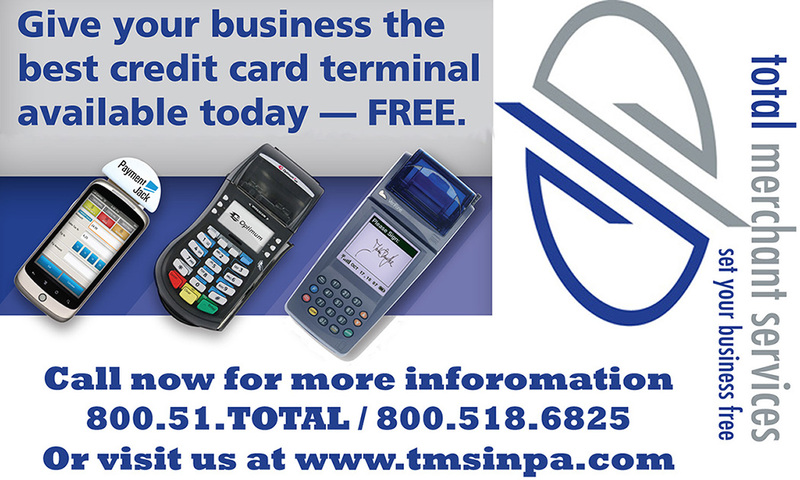 The terminals currently offered in our free terminal program are the Hypercom T4220 & T4100, Verifone Nurit 8020, Authorize.net virtual terminal and the Payment Jack mobile device. The Payment Jack device can be added to any of our other free terminal programs so that you will have more flexibility as to where you can accept credit cards. If you are currently processing fax your statement to us and we will prepare a savings analysis to show you just how much you can save while taking advantage of our free terminal program. Your Total Merchant Services reviews help others learn about this business nature. Best reviews about Total Merchant Services are passionate and personal. They offer a rich narrative, a wealth of detail, and a helpful tips for other Total Merchant Services customers. Please don't review Total Merchant Services if you received a freebie for writing this review about Total Merchant Services, or if you're connected in any way to the owner or employees of Total Merchant Services.